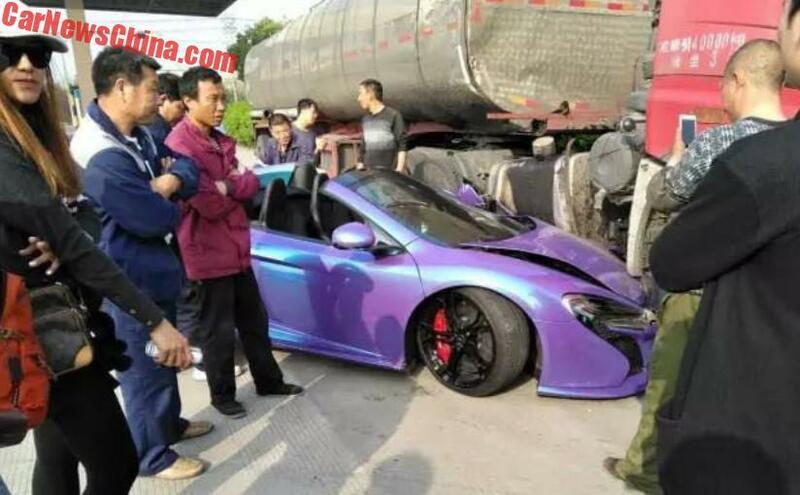 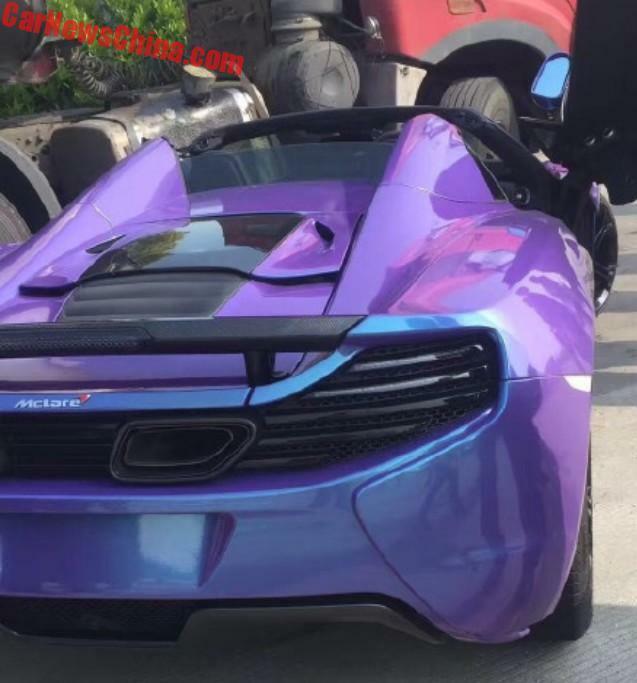 The driver of a McLaren 650S Spider miraculously escaped unhurt in what could have been a horrific crash. 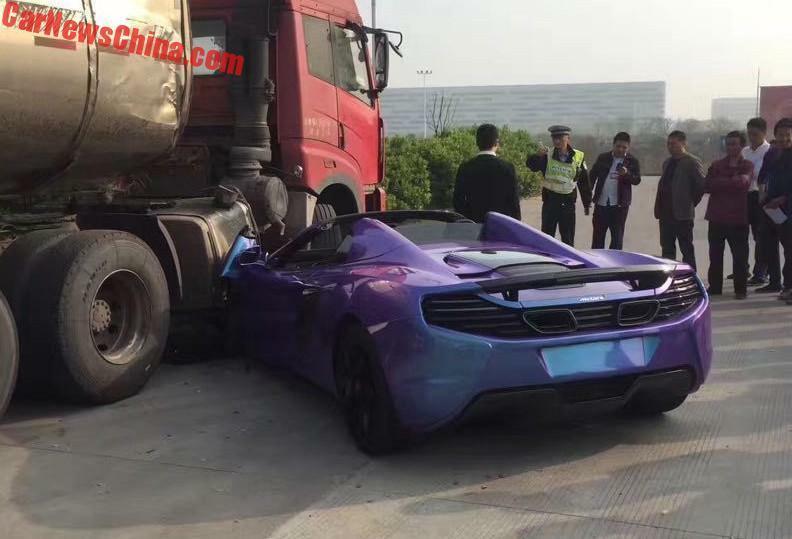 Reported near Shaoxing, in the Zhejiang Province, China, earlier this month, CarNewsChina says, the accident left the supercar pinned under a tanker. 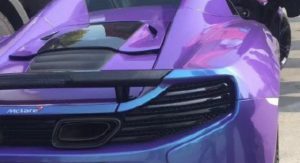 The front left side of the McLaren was completely ruined. 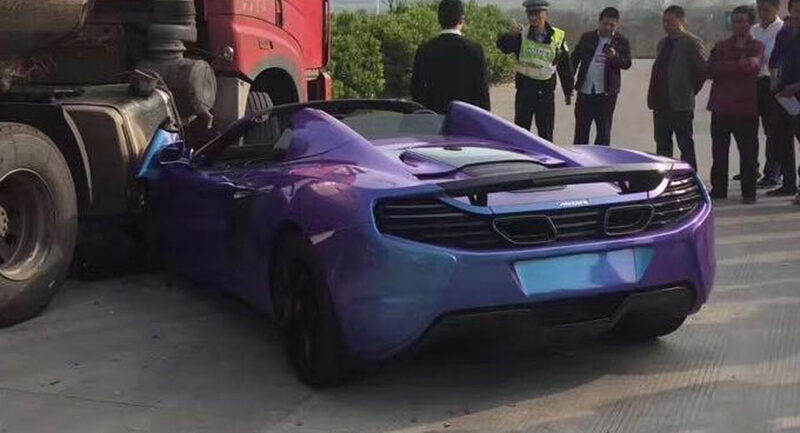 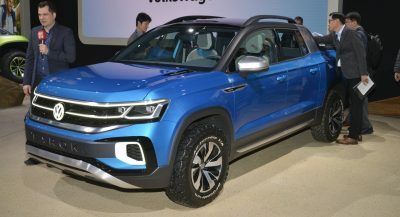 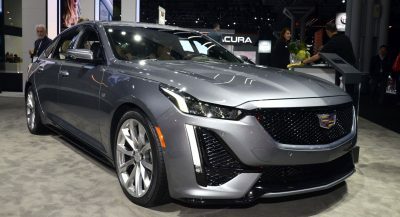 These cars cost a fortune in the People’s Republic, due to the luxury tax, so repairing it will put a heavy dent in the owner’s bank account as well. 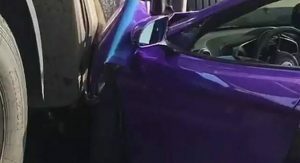 From the pictures, it looks like the airbags didn’t deploy – but we can’t say for sure if the driver wasn’t wearing his seatbelt, a risky maneuver since he was allegedly involved in a drag race with another vehicle, before losing control of the wheel and crashing into the tanker. 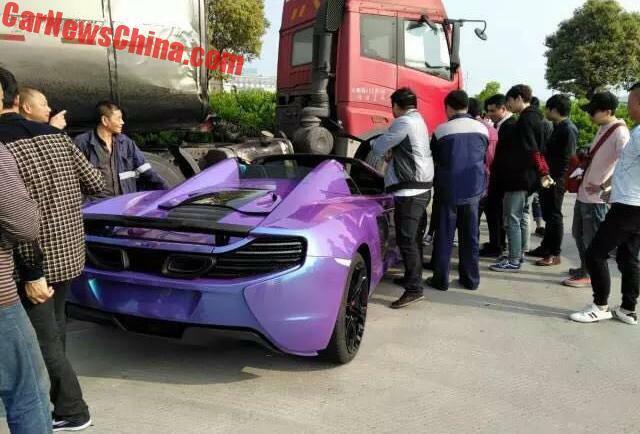 On a positive note, the 3.8-liter twin-turbo V8 engine that powers the 650S Spider, and all other modern McLarens, except for the new 720S where it received an extra 200cc, doesn’t seem to have been affected. 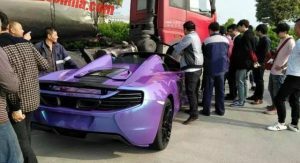 color of the Mclaren though…!!! 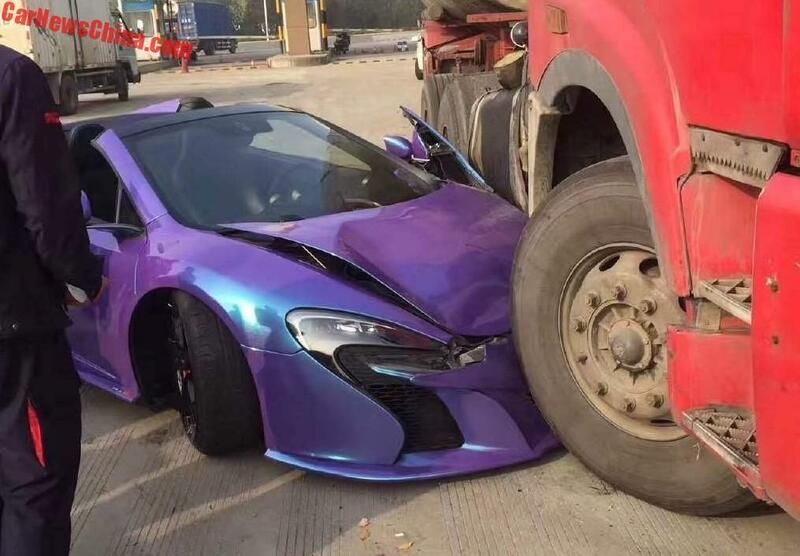 That’s what he gets for not opting for the carbon package. 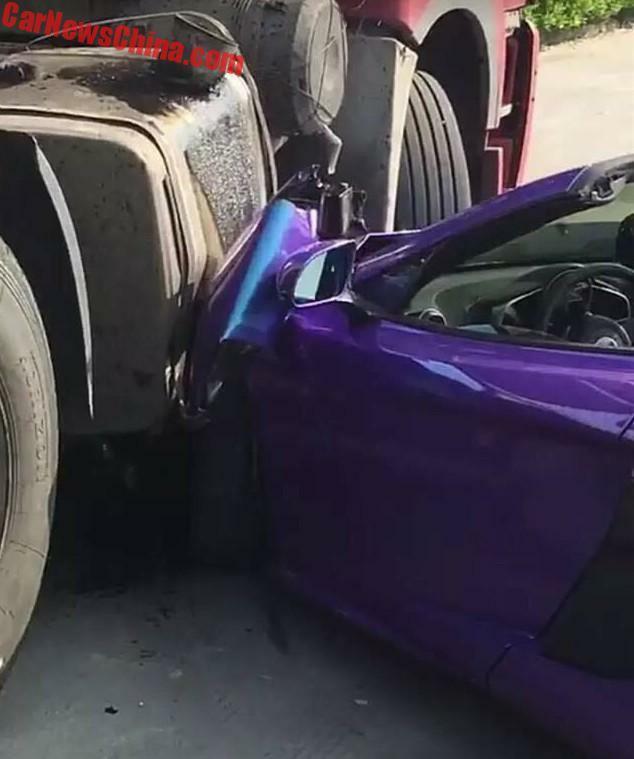 But no, all jokes aside, I still fell sorry for the person. 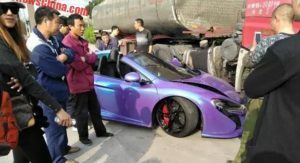 “he was allegedly involved in a drag race with another vehicle, before losing control of the wheel and crashing into the tanker.” Given the pictures and reputation of chinese with supercars that’s exactly what happened. 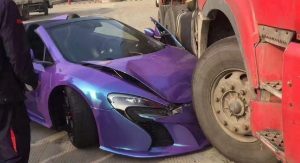 How do you feel sorry for this guy?